The 1977 Open Championship contested at Turnberry Golf Club is known as the ‘Duel in the Sun’ after the incredible performance by Jack Nicklaus and, the eventual winner, Tom Watson. This year’s Open Championship displayed a level of golf that has equaled, if not bettered, that of which took place almost 40 years ago. final round of major to win, since World Golf Hall of Famer, turned broadcaster, Johnny Miller did it in the 1973 U.S. Open at Oakmont. Not to mention that Stenson’s cumulative score of -20 for the championship ties the lowest overall score in any major, ever. 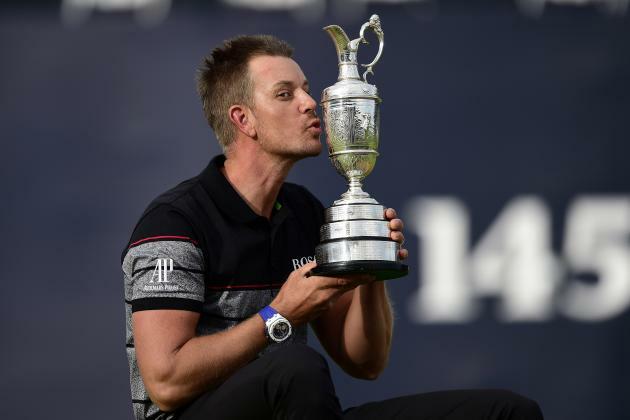 Stenson’s performance was nearly flawless, and extremely memorable to any who witnessed it. Stenson, at 40 years old, had been dubbed by the media, ‘One of the best to not win a major’, along with other notable players: Rickie Fowler, Sergio Garcia and Lee Westwood. However, with his immaculate performance at Royal Troon this year, Stenson joins Danny Willet and Dustin Johnson as golfers to obtain their inaugural major this season. What may be lost under Stenson’s glory, however, was the quality of golf perpetrated by fan favourite, Phil Mickelson. Mickelson’s opening 63, featuring a agonizing lip-out on the eighteenth hole, tied the lowest round in major championship history. ‘Lefty’ backed that up with solid rounds of 69 and 70 to get him into the final pairing with Stenson. Phil did not disappoint on Sunday either. Matching Stenson shot for shot, birdie for birdie, until Stenson’s putter found another level. Phil finished with a closing 65, the second lowest round of the day, behind only Stenson’s 63, and Phil’s lowest round on the final day of major, in his long, impressive career. Royal Troon provided a fine test of golf to the field in the 146th Open Championship. Only 17 players out of a field that consisted of over 150 golfers finished under par, yet both Stenson, and Mickelson put on an absolute clinic. It was a nail biter until the very finish, but Stenson’s incredibly consistent ball striking paired with his wizardry with the putter made him uncatchable, even for Phil Mickelson, who played one of the best final rounds in Open Championship history.